Pakistan has always proclaimed itself to be a responsible nuclear weapons state ever since its overt nuclearization in 1998. 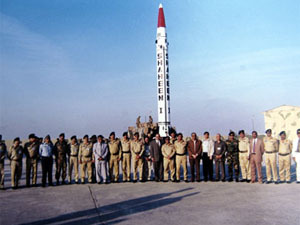 It has actively demonstrated this by ensuring that its safety and security mechanisms as well as nuclear command and control and its operational procedures, decision making process, and the development of all relevant new technologies are in strict compliance with international standards and best practices, even before Pakistan became a nuclear weapons state. The element of transparency within the nuclear realm is also evident in Pakistan; the NCA has issued several statements providing the framework for Pakistan’s nuclear policy. These NCA statements talk, officially and briefly, about almost all dimensions of Pakistan’s nuclear program. This rationality also exists in its public stance vis-à-vis ‘Minimum Credible Deterrence’, although this particular concept is dynamic in nature and has less to do with numbers than with discouraging an arms race in the region. It can safely be assumed that the development of tactical nuclear weapons (TNWs) by Pakistan, for example, was clearly in response to the Indian Cold Start Doctrine, now known as Provocative Operation. The addition of TNWs in South Asia is, from the Pakistani point of view, a stabilizing factor, strengthening strategic stability in the region. This recent development will ensure deterrence at all levels and denies ‘all’ forms of foreign aggression. Pakistan is not developing a nuclear war fighting model – unnecessary and provocative military doctrines has largely been within the exclusive domain of India whom, so it would appear, wishes to fight ‘limited’ wars under the nuclear umbrella. Pakistan’s response to such provocative doctrines is merely an effort to maintain strategic stability in the region. The recent NCA statement introduces a new phenomenon in Pakistan’s nuclear doctrine, that of ‘full spectrum deterrence’. Many analysts are considering that the use of this term indicates a change in the state’s known policy of ‘Minimum Credible Deterrence’. They build their case around the argument that ‘full spectrum deterrence’ is more akin to credible deterrence and therefore technically contradictory to Pakistan’s existing nuclear policy of minimal deterrence. The use of relatively new terminology in the NCA statement is slightly confusing and induces ambiguity in relation to the concepts of ‘restraint and responsibility’, due to the ‘continuation of the policy of Minimum Credible Deterrence’ being placed alongside the term ‘full spectrum deterrence’. A slight elaboration is required to put these reservations to rest, and one possible explanation in this regard is that ‘full spectrum deterrence’ is more relevant to the production aspect of nukes rather than with credible deterrence as TNW production (for example) is Plutonium based as opposed to the traditional Uranium route. The views expressed here do not represent the CPGS views are the writer’s own.